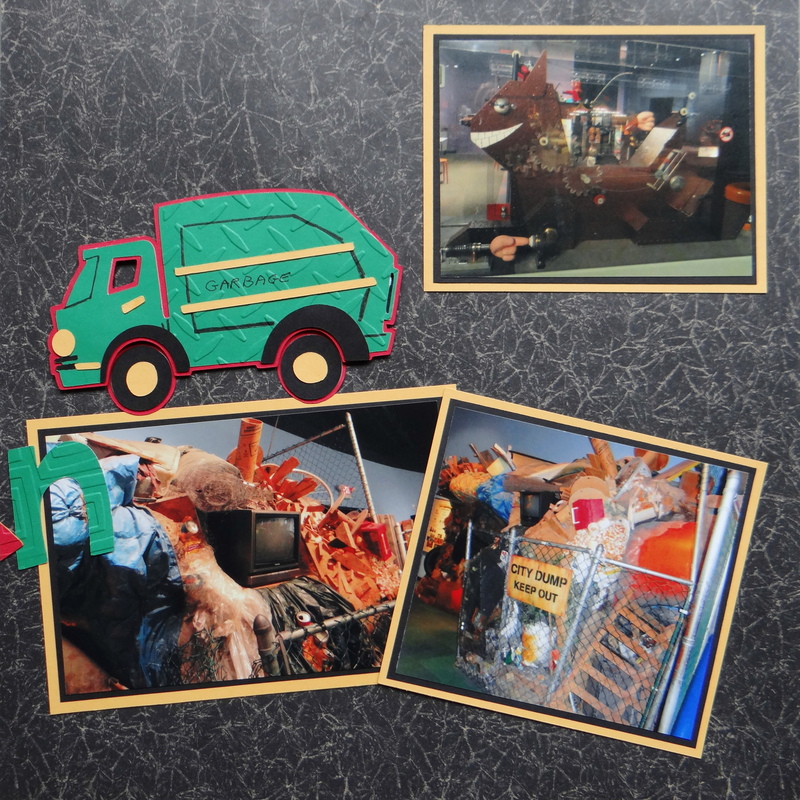 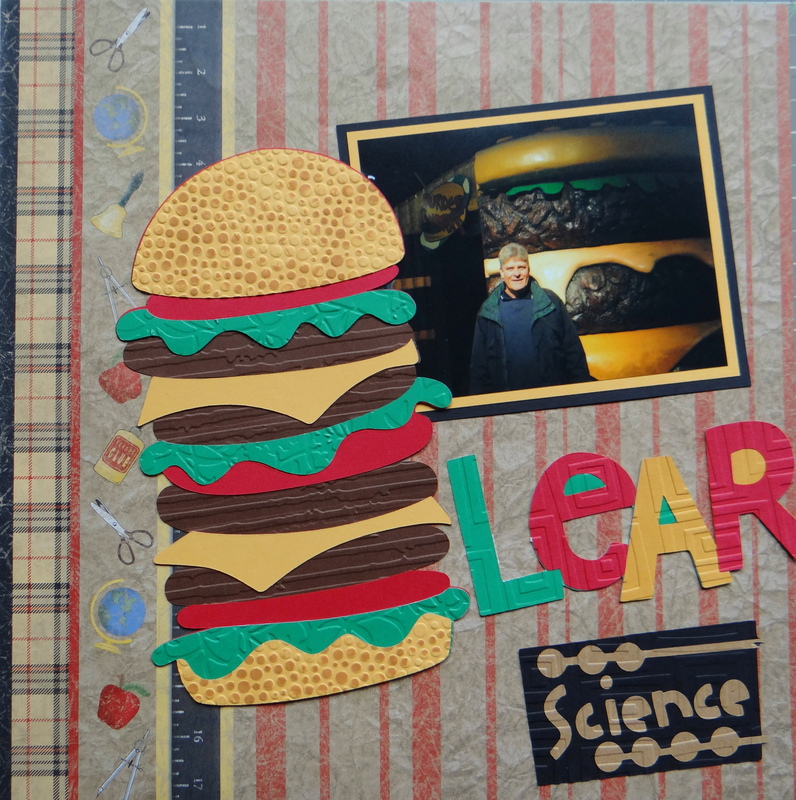 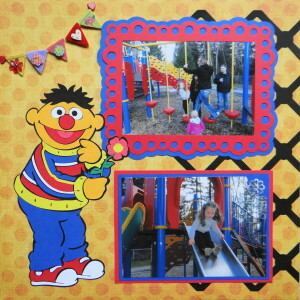 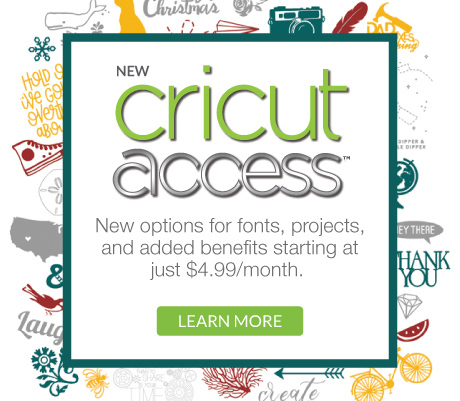 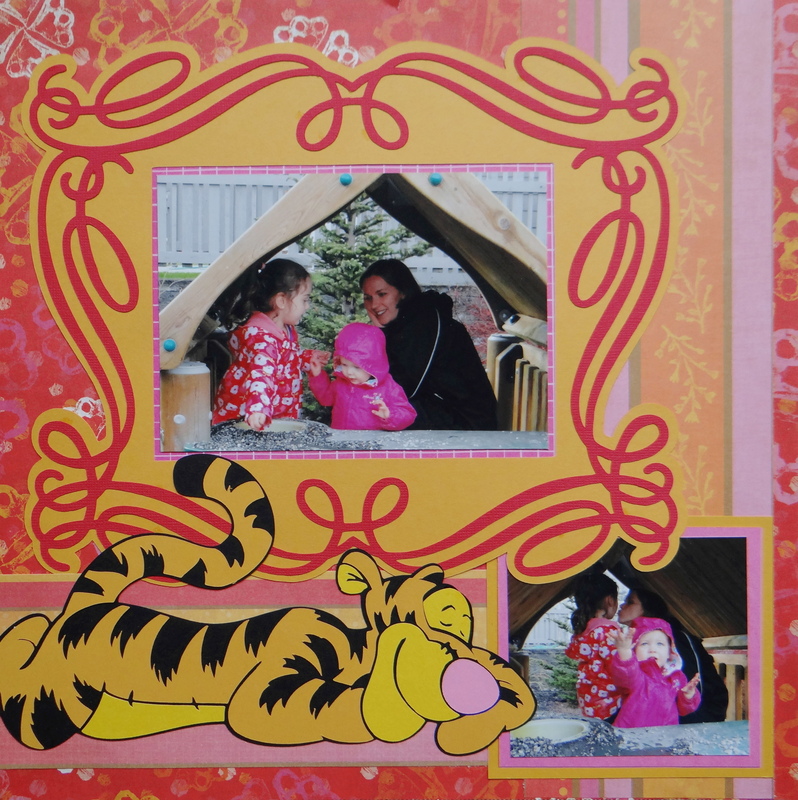 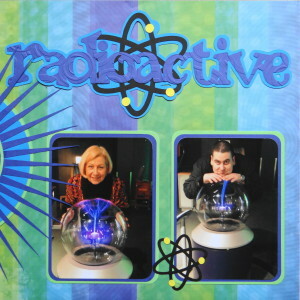 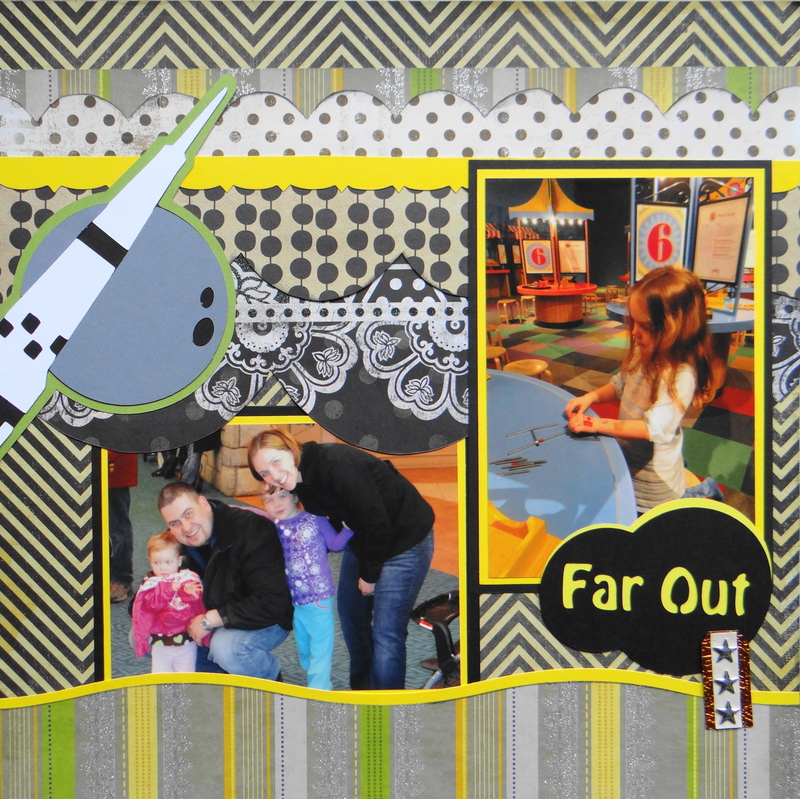 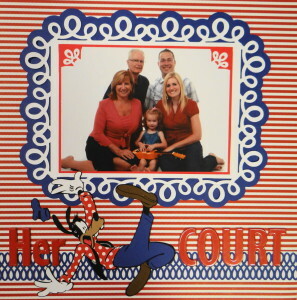 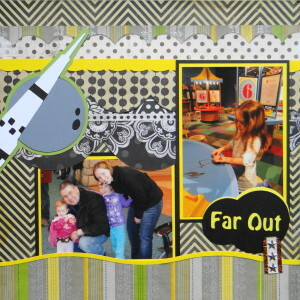 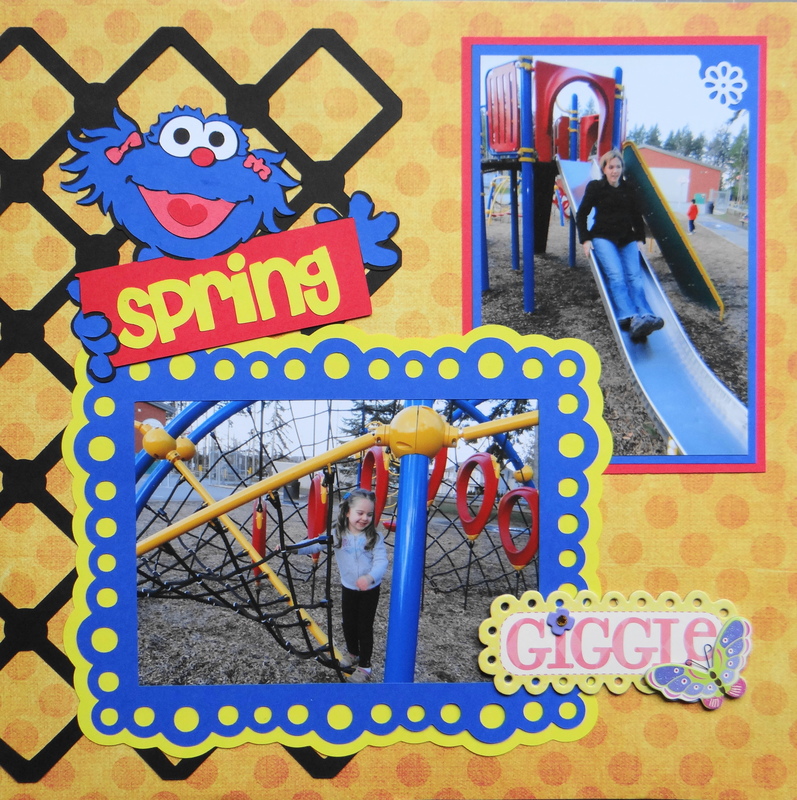 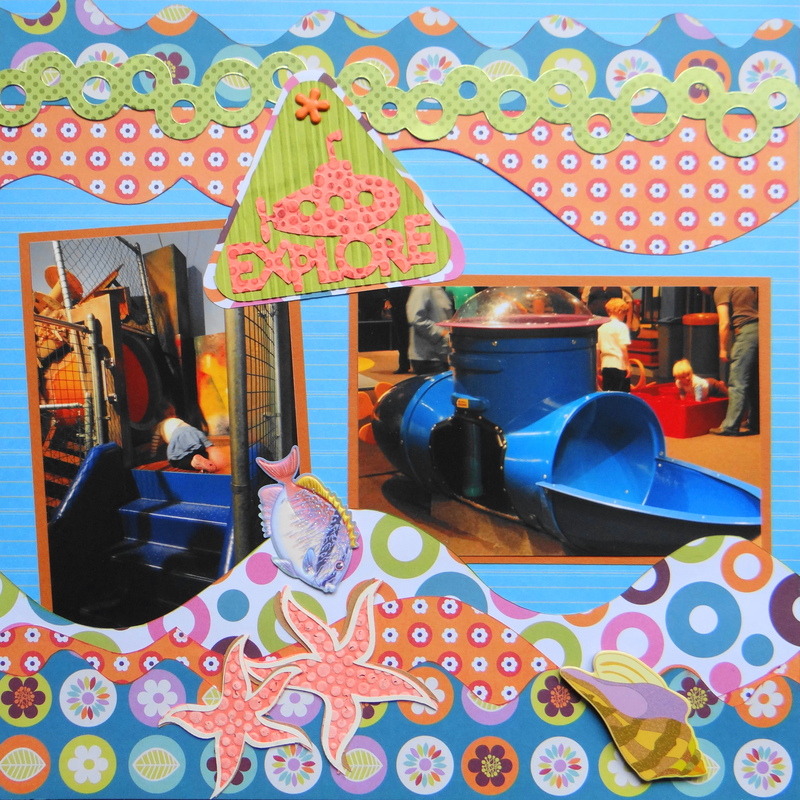 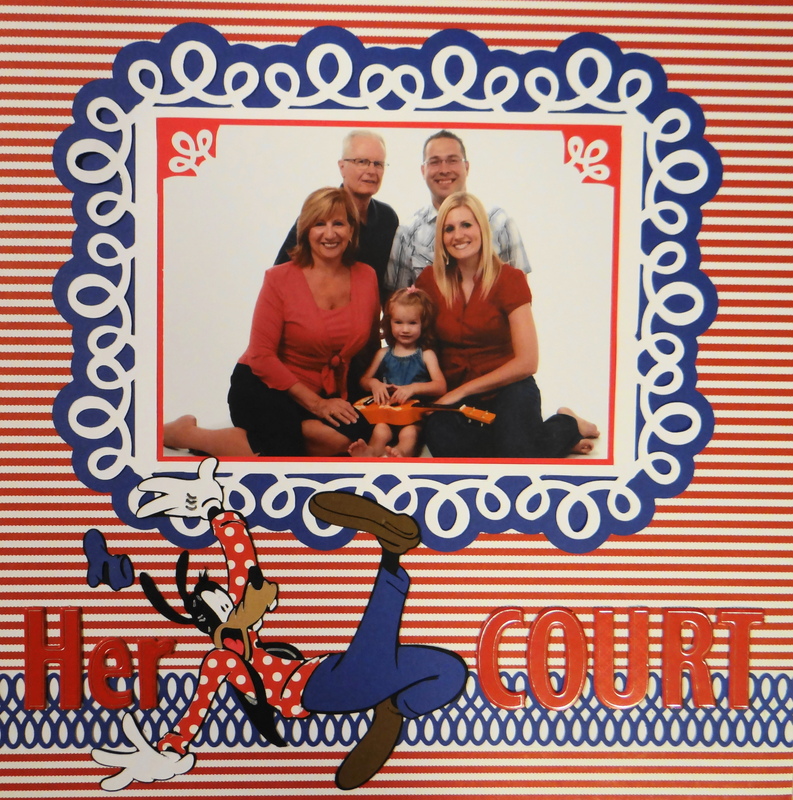 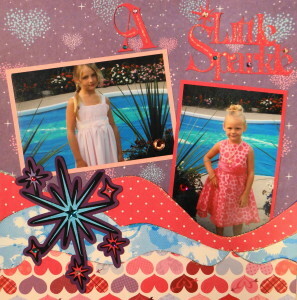 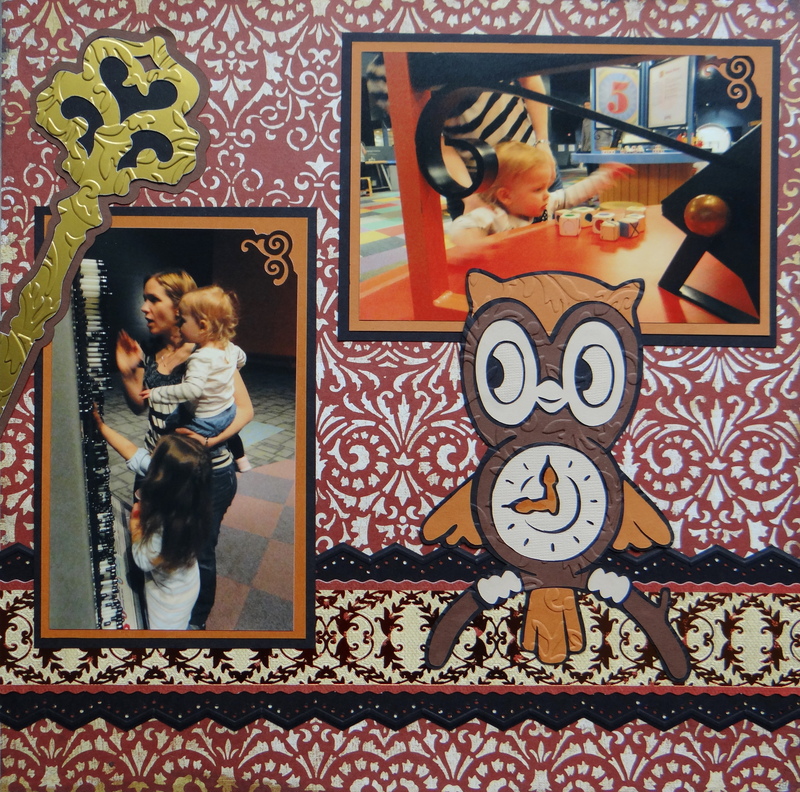 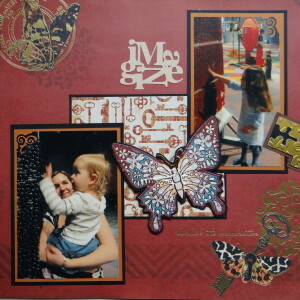 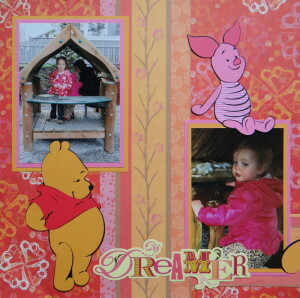 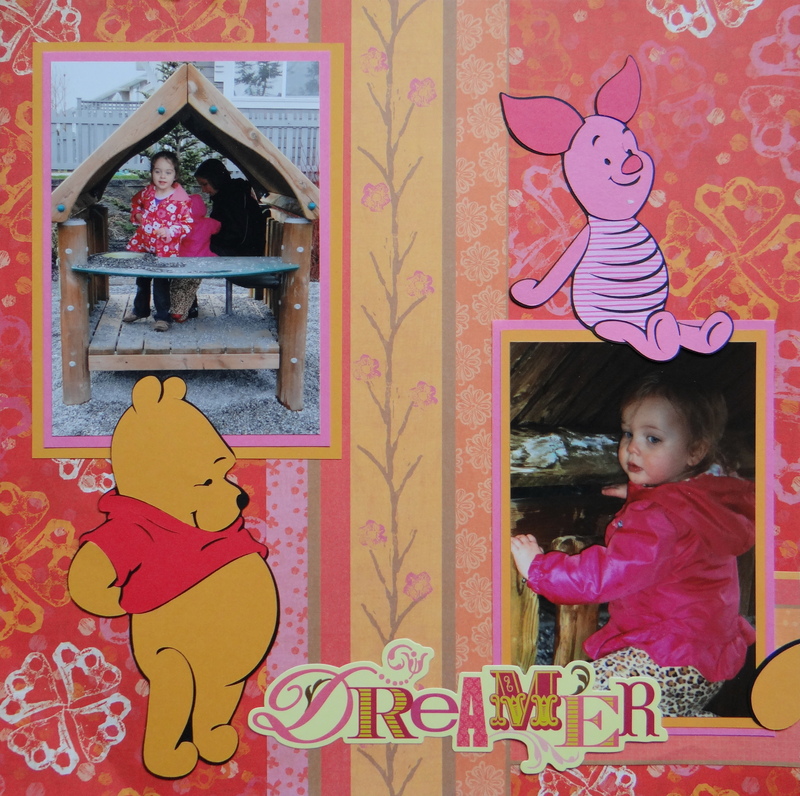 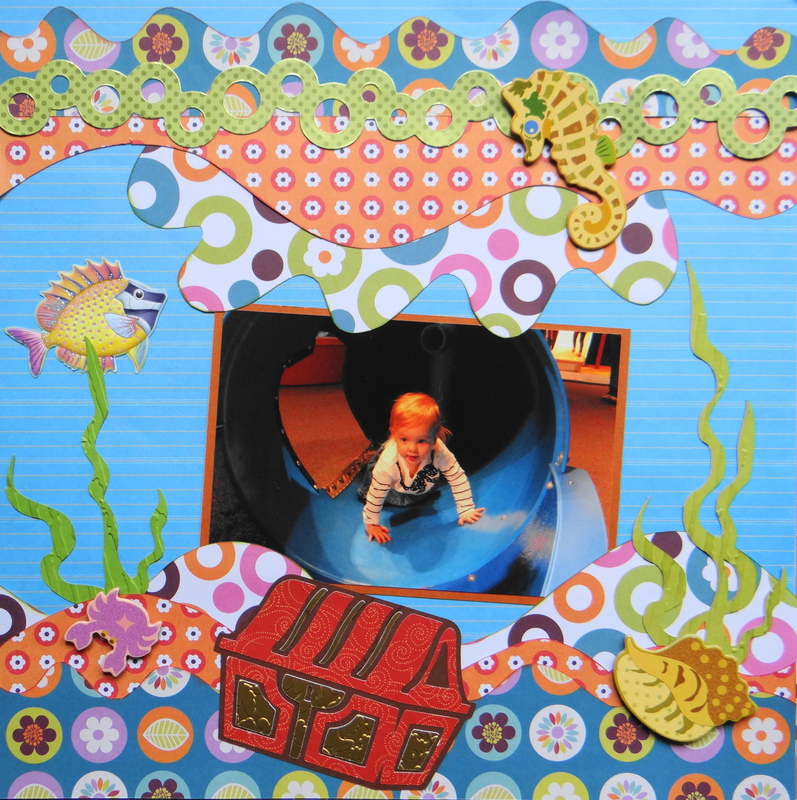 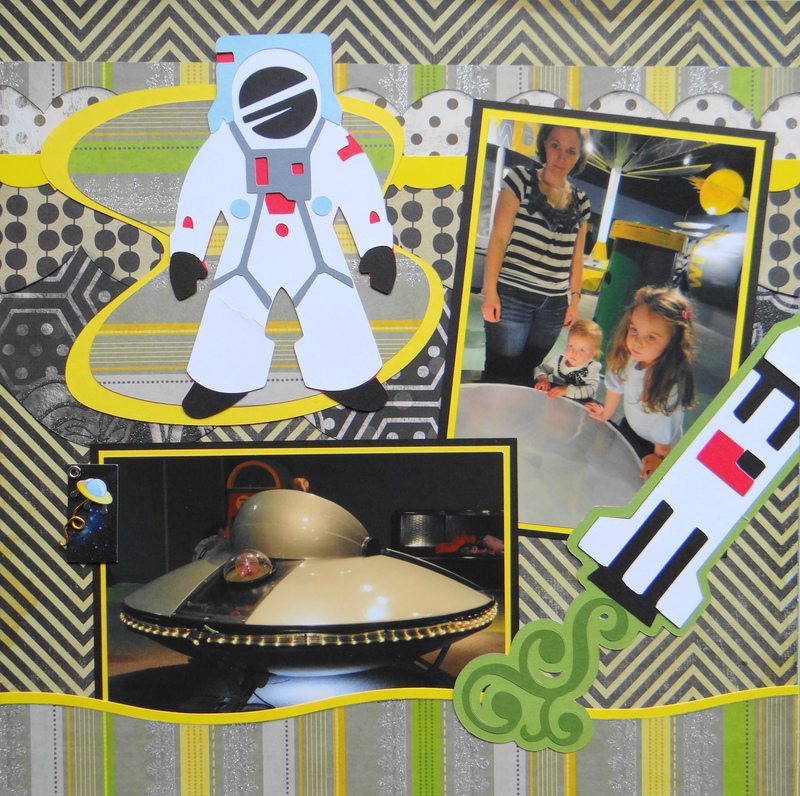 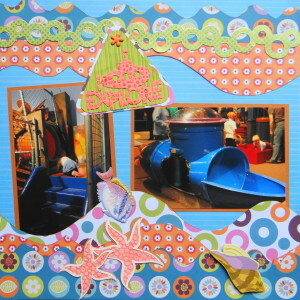 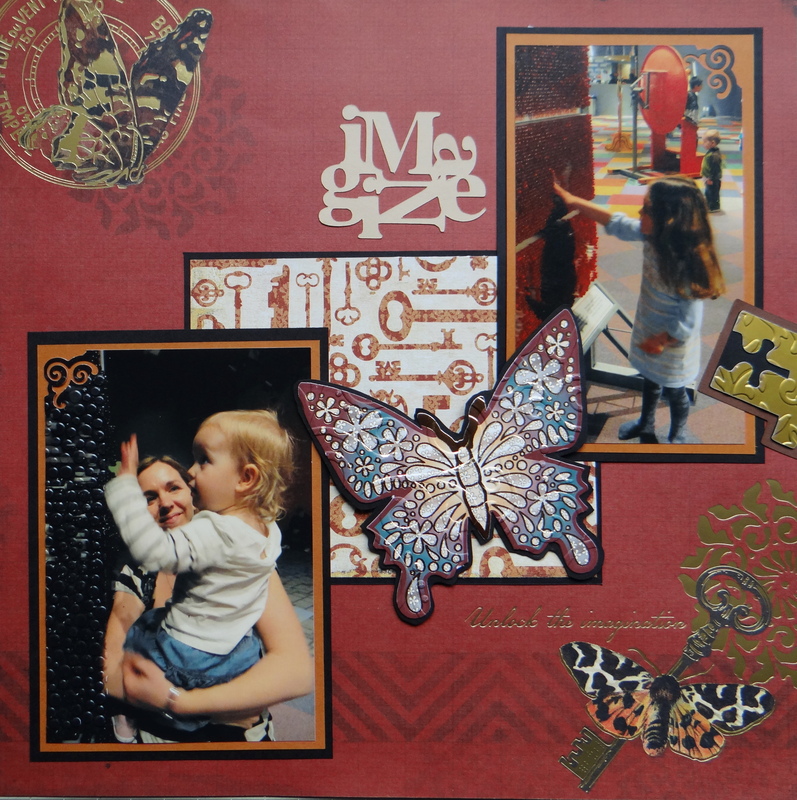 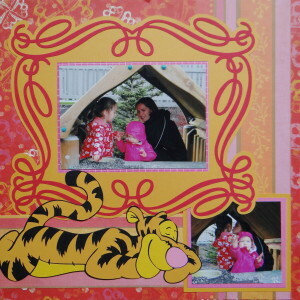 In this album you will find family scrapbooking ideas for your pages and a trip to the science centre. 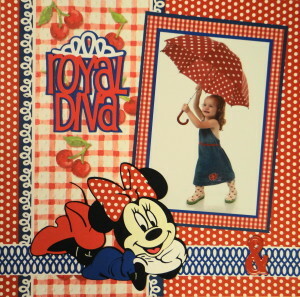 Inspiration: The red and white polka dot umbrella. 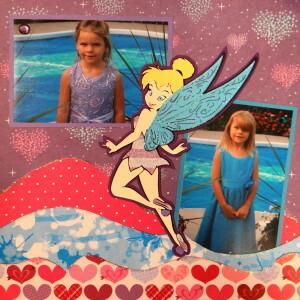 Inspiration: I had to find paper with the colours of all 4 girl’s dresses. Inspiration: The mesh rope that the kids are climbing on and the primary colours of the park equipment. 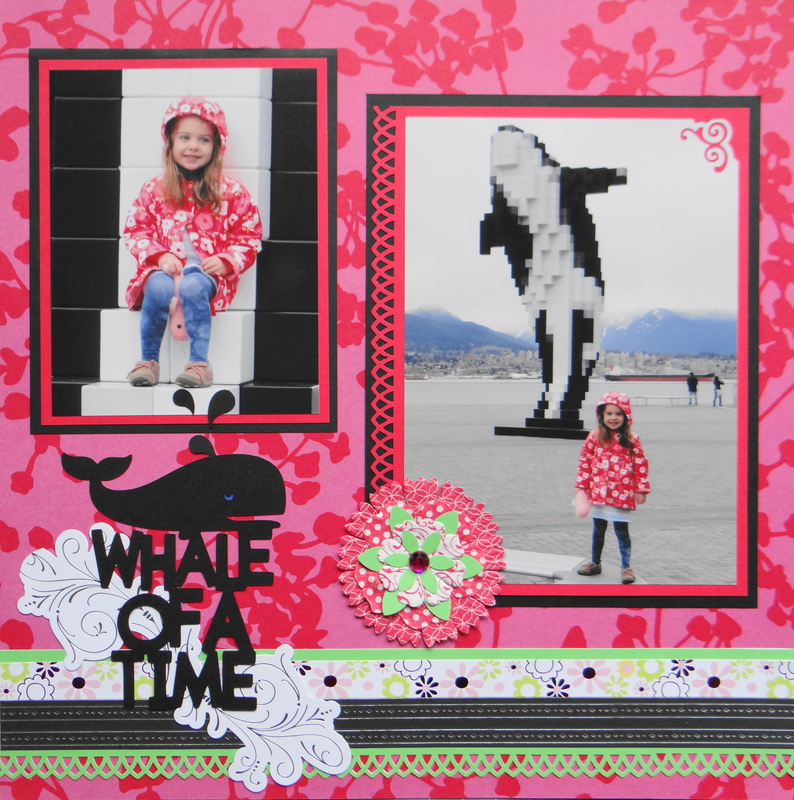 Inspiration: The pink coat and the colour of the wood. 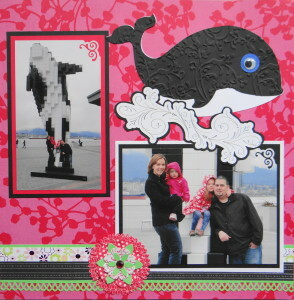 Inspiration: The whale statue and the pink coats. 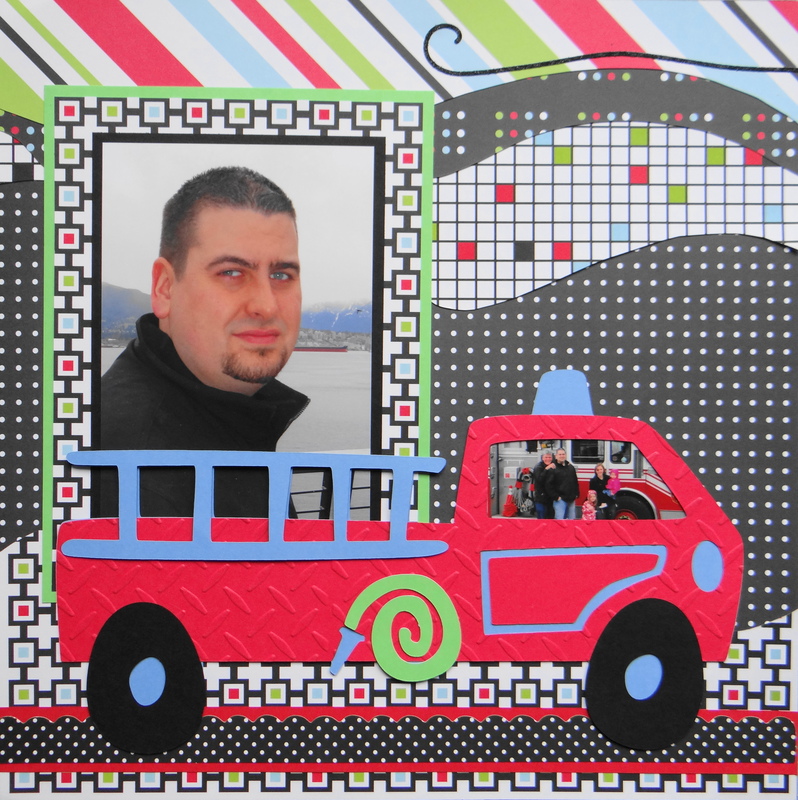 Inspiration: The firetruck that everyone posed in front of. 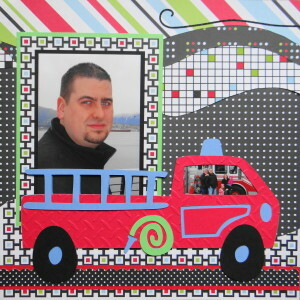 I ended up putting that photo in the window of the truck. 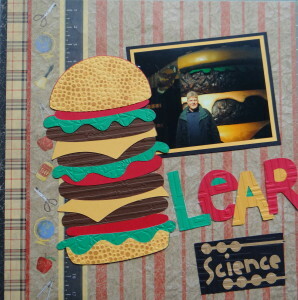 Inspiration: The pile of garbage at the Science Centre and the giant hamburger. 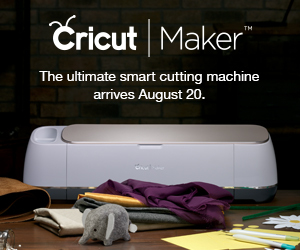 Inspiration: The paper itself says “Unlock the Imagination” and I thought that was perfect for the Science Centre. 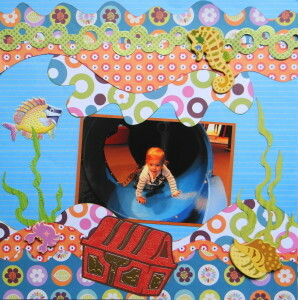 Inspiration: She was playing in a submarine at the Science Centre so I tried to create an under water scene. 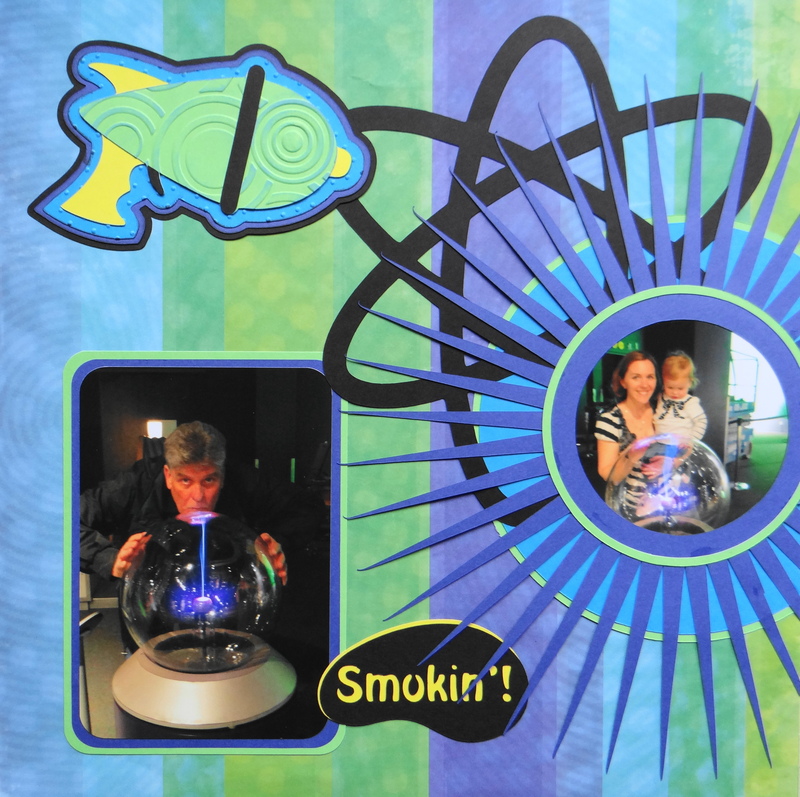 Inspiration: The neon lights in the globes when you touch them. 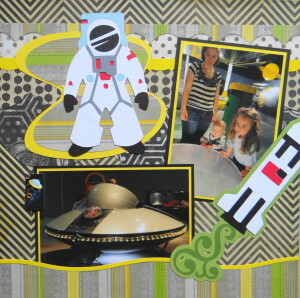 Inspiration: This space ship at the Science Centre.